Thank you for taking the time to participate in my 13th teletownhall meeting. These teletownhalls provide a unique opportunity to connect with Montanans from all corners of our state and are convenient for seniors, families and rural Montanans. 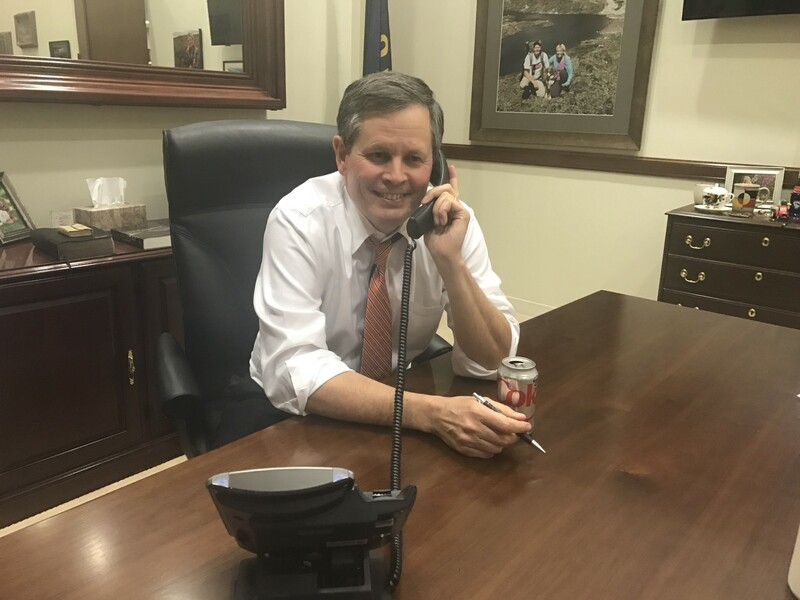 It’s great to have tens of thousands of Montanans on the phone to get their questions, hear what’s on their minds and update them on what’s going on in DC. It’s just always good to have Montana family conversation. In December I wrapped up yet another 56 county tour of our state, which provided me the opportunity to meet with Montanans in every county across the state. During this tour, I heard both concerns and ideas from citizens like you, about issues that matter to Montana the most. Many of these concerns included the dire need to rein in regulations, to grow both domestic and overseas markets for Montana goods and products to benefit our agriculture producers, balance the budget, protect our public lands, expand made-in-Montana energy and uphold Montana values. In addition, I will continue to meet with Montanans and tour businesses across the state. As someone who spent 28 years in the private-sector business, customer service is a number one priority of mine. My offices in both Washington D.C. and Montana are constantly interacting with constituents in person, over social media and over the phone, taking feedback and questions from Montanans to make sure your voice is heard. I even have a secret shopper program to make sure Montana constituents are being treated with the utmost respect and appreciation to ensure you are getting timely responses. Since I have been in office, I have responded to over 106,000 pieces of correspondence. Your input is highly valued and I encourage you to continue contacting my offices and voicing any questions or concerns you may have. If you are ever in the D.C. area, I invite you to attend Montana Coffee, which provides the opportunity to meet with Montanans in our nation’s capital. This light breakfast is held every Wednesday morning that the Senate is in session. If you are interested in attending, please contact my office for more information. While we may not agree on every issue, the beauty of our country is the freedom to voice our opinions and hold our elected officials accountable. I encourage you to continue being actively engaged and informed on issues that matter to you. Please continue sharing your ideas, concerns, and opinions so that I can best serve you in the U.S. Senate. I look forward to hearing from you on my next teletownhall and appreciate your participation. It is an honor to work on your behalf and represent the people Montana in the United States Senate. As always, if I can be of assistance in the future, please do not hesitate to contact my office. Serving the people of Montana in the U.S. Senate.